What does the President do everyday? Everyone’s talking bout the Presidency, few actually know what he (or maybe, she) does day to day. No, it is not easy money. And if the President screws up in his work, it can become a constitutional disaster. You can’t remove a person from this position easily, neither is it expedient to veto the President’s decision. If the President conducted himself shamefully and shames the nation, it would be very, very difficult to regain lost diplomatic capital. Let’s have a very brief overview of his jobs. The responsibilities include: Constitutional duties, Ceremonial duties and Community duties. • Use of Past Reserves – i.e. Reserves not accumulated by the Government during its current term of office. The President’s discretionary powers provide an important check and balance to the Government with regard to preventing the misuse of the nation’s reserves and ensuring that the public service is impartial. As the Ceremonial Head of State, the President is the symbolic figure representing Singapore at ceremonies and internationally. The President may use the influence of his position to support charitable and social causes, such as sports, volunteerism, social entrepreneurship, culture and the arts. The President’s Challenge championed by the President is one such example. There will be events to grace, there has to be face time made with grassroots, community and welfare groups, ethnic and religious celebrations and social activities. Now, as you can see… it involves a tremendous amount of decision making. Although the President has a team of advisors, a leader cannot take advice blindly. One must have knowledge, argument and reason of one’s own. Thus, there is an enormous amount of reading, learning and visits. The President has to understand Singapore society and as well as be versed in economics, diplomacy and law to make the decisions her office directly makes. Otherwise, how would one know whether or not to grant clemency to persons on death row? How would she know who to appoint or remove? When faced with global leaders, they would most certainly discuss matters of diplomacy and current affairs. One cannot turn up with nothing to say, no opinions to make and nothing to add – these are not mere social gatherings. Speeches will be made when the occasion calls for it and the President has to stand by the content of the speeches. Every single body movement, every little thing said will be captured by media and broadcast globally for the world to see. The President represents Singapore, whoever chairs that seat cannot make us look stupid. That is a lot to do every single day. And there is no room for mistake. In the world of political leadership, mistakes are unforgiving and has consequences on all its citizens. 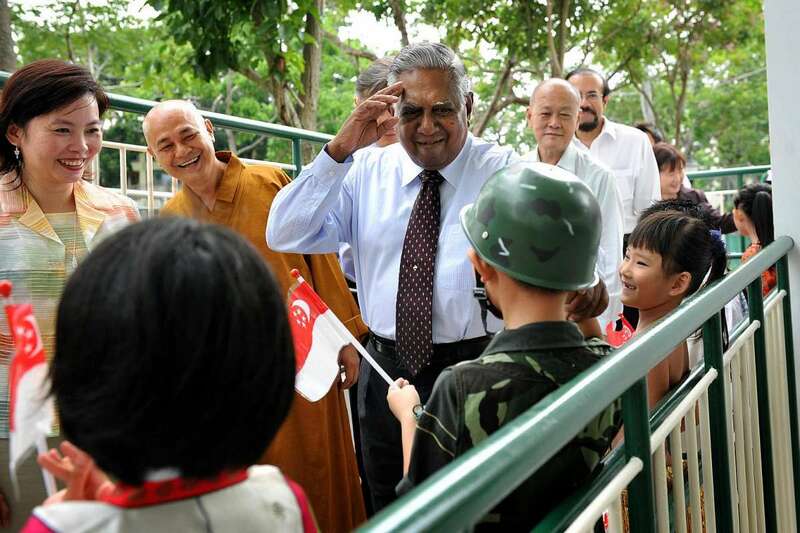 It is a lot more than waving a hand at people during National Day. Still think it is an easy job to do?